Behre Dolbear is sponsoring The Iron Cycle conference in London, March 20th, 2019. Tanya Matveeva, Senior Geologist with Behre Dolbear, will be presenting on Kursk Magnetic Anomaly – largest source of iron ore in Russia. 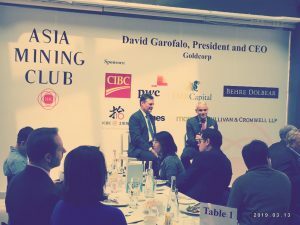 More than 80 people attended Behre Dolbear-sponsored Asia Mining Club lunch in Hong Kong last week. 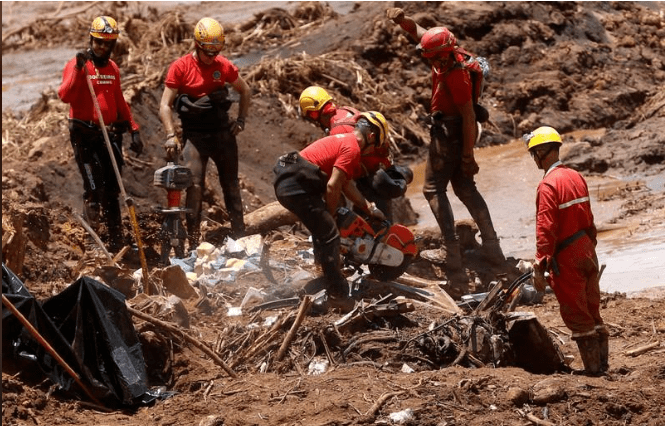 SAO PAULO (Reuters) – Brazilian prosecutors requested that mining company Vale SA be ordered to guarantee funds of 50 billion reais ($13.10 billion) for environmental recovery efforts after a January dam disaster, they said in a statement on Friday. Even with South Africa’s electricity supply woes, automotive company Jaguar Land Rover South Africa forecast in January that South Africa could have 145 000 EVs on its roads, expecting yearly sales of new EVs to reach 43 000 units in the next six years. The company based its prediction on the uptake of EVs locally matching the global average, which it says will account for up to 11% of all new-car sales in 2025. 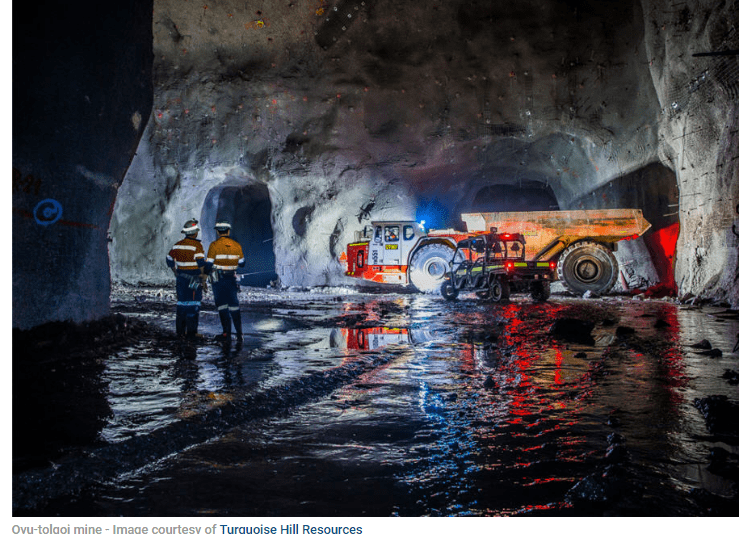 Turquoise Hill Resources (TSX: TRQ; NYSE: TRQ) reported 2018 income of $394.3 million—a 255.4% jump over 2017’s $110.9 million—driven by an increase in gold production and sales from its Oyu Tologi copper-gold mine in Mongolia. Gold production surged 150% year-on-year to 285,000 ounces, while copper production of 159,100 tonnes marked a 1.1% increase over 2017. The income jump was driven by an increase in gold production and sales from its Oyu Tologi copper-gold mine in Mongolia. Revenue of $1.2 billion was 25.6% higher than 2017’s $939.8 million, and cash generated from operating activities reached $180 million, up from $118 million in 2017. Cost of sales came in at $777.2 million compared with $763.8 million in 2017. Cost of sales were $2.25 per lb. 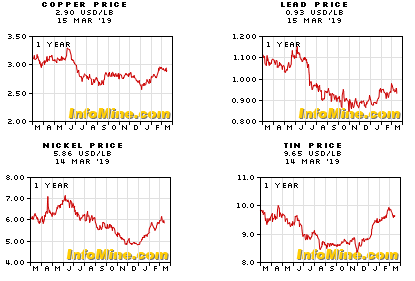 copper sold in 2018, compared with $2.32 per lb. copper sold in 2017, reflecting higher volumes of metals in concentrate sold and reduced unit costs of production. All-in sustaining costs came in at $2.20 per lb. of copper produced in 2018, compared with $2.39 per lb. copper produced in the year-earlier period. The strong financial results were a combination of higher gold production and reduced unit costs of production as a result of higher head grades and recoveries (which benefited from the processing of Phase 4 ore that contained higher gold content). Scientists have blended a mobile phone to dust to conduct a chemical analysis of what it contains. A team at the University of Plymouth carried out the research to show the quantities of rare or so-called ‘conflict’ elements in each phone and to encourage greater recycling rates. Every year, 1.4 billion mobile phones are produced around the world, the scientists said. Dr Arjan Dijkstra , lecturer in igneous petrology, said: “We rely increasingly on our mobile phones but how many of us actually think what is behind the screen? “When you look, the answer is often tungsten and cobalt from conflict zones in Africa. 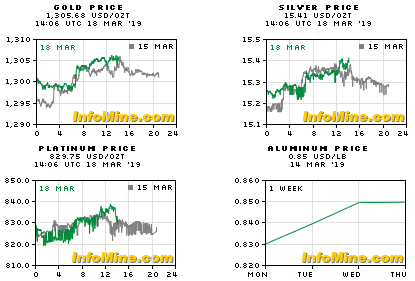 “There are also rare elements such as neodymium, praseodymium, gadolinium and dysprosium, not to mention quantities of gold, silver and other high value elements. After blending the phone, researchers mixed it with sodium peroxide—a powerful oxidizer—at almost 500C (932F). They then conducted a detailed analysis of the solution in acid to determine its precise chemical contents. Researchers said the phone also featured a number of “critical elements” including 900mg of tungsten and 70mg of cobalt and molybdenum, as well as 160mg of neodymium and 30mg of praseodymium. Dr Colin Wilkins , lecturer in economic geology, said: “Mining can be part of the solution to the world’s problems. “But we are now in a climate where people are becoming more socially responsible and interested in the contents of what they are purchasing. “Partly on the back of this, several of the major mobile phone companies have committed to upping their recycling rates. This is overseen by the University’s Sustainable Earth Institute and supported by Higher Education Innovation Funding. 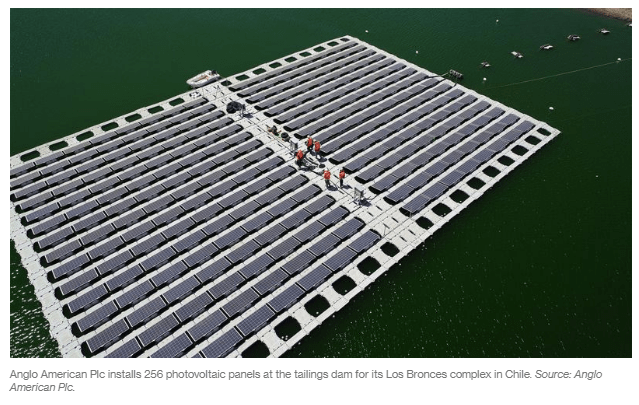 Calling it the first project of its kind in the world, Anglo American Plc has installed 256 photovoltaic panels at the tailings dam for its Los Bronces complex in Chile. The panels are floating atop the potentially toxic ground minerals and effluents blasted out of rocks dug up at the mine. The pilot project is expected to generate 150,000 kilowatt-hours a year and help power the operations there, the company said in a statement on Thursday. While it’s not much electricity in the grand scheme of things, Chile Mining Minister Baldo Prokurica hailed the solar project as yet another example of how the country — the world’s largest cooper producer — is leading the way in improving how miners treat waste. Chile was the first to ban so-called upstream dams, which are cheaper to maintain but have led to deadly accidents, such as the collapse of one at a Vale SA mine in Brazil that killed at least 180 people in January. The USD 400 million expansion will allow the company to increase its production of lithium carbonate, a precursor material for the production of lithium batteries, from 70,000 tonnes per year to 180,000tpy. The plant expansion is part of a USD 525 million investment plan announced in 2018 that aims to increase SQM’s lithium production.